While I always enjoy staying in a great hotel, my family also likes to mix things up and stay in vacation rentals, as well. We frequently use HomeAway to book stays in incredible vacation homes and apartments, which really help you feel like a local, spread out and enjoy making meals in your accommodation. 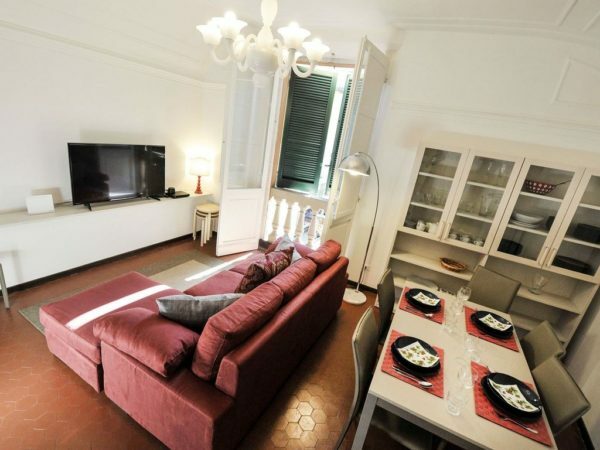 Some of my favorite accommodations we have booked with HomeAway have been in Europe, like these AMAZING apartments where we stayed in Paris, Bologna and San Gimignano, Italy. Note: This post is sponsored by HomeAway and contains affiliate links for which I may earn a commission if you make a purchase after clicking through; however, I only recommend products that we know and love.Thank you for supporting the blog, so I can continue to bring you great information free! 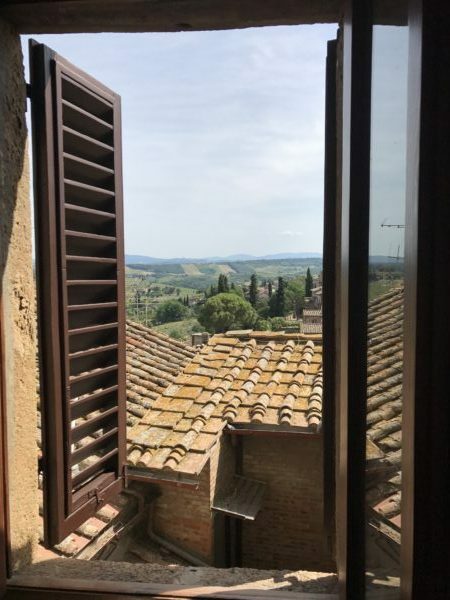 Our amazing HomeAway vacation rental in San Gimignano, Italy was in a 12th century building with amazing views of the town and Tuscan countryside. Take a look this rental yourself right here. 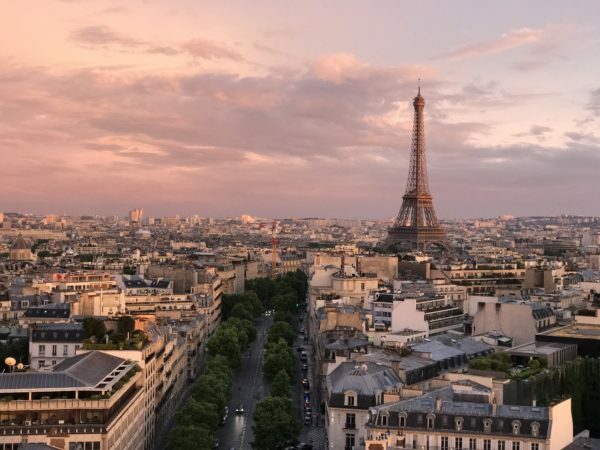 We spent hours finding the perfect rentals for our family’s 2017 summer trip to Europe (which we flew entirely on miles; here’s how), and I learned a few tips along the way! When searching, click the box that says Instant Confirmation at the top of the Results page. 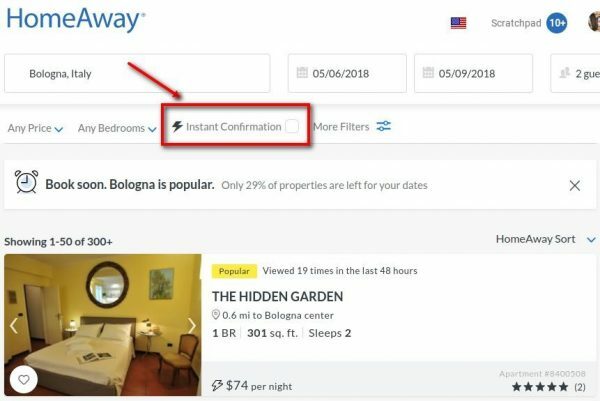 By choosing these properties, you will be paying through HomeAway, which protects your credit card information and makes you eligible for the Book with Confidence Guarantee from HomeAway. This guarantee provides you with payment protection, rebooking assistance if the owner cancels your booking at the last minute and 24-hour customer service if you have any questions or problems. Past visitors can alert you to potential problems or items you may not have thought of. For example, one issue we ran into in Paris was that we had limited hot water for showers. Had we realized that earlier, the first one of us to shower would not have stayed in there so long, using up all the hot water :)! 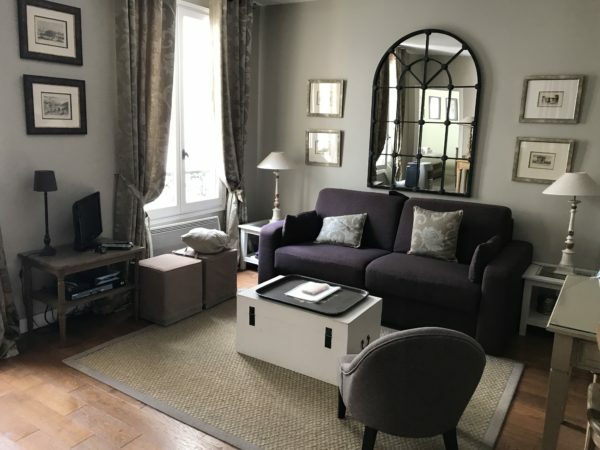 Our super charming Paris apartment in the Left Bank booked on HomeAway, though it was a tad short on hot water 😉 You can book this exact same apartment here. Also, reviews will tell you about any problems with payment or the owner, bringing to your attention any red flags. If owners want to book their property, they will respond promptly to any questions you have. If they don’t, consider that a red flag that they may not be a good potential rental. I think I have adult ADHD 🙂 and so a large list of things to look through completely overwhelms me and stresses me out. Thank goodness, my husband largely handled this task, but to help us trim the number of properties to consider, we used the filters to reduce the list by bedrooms, cost and location. They also have a new feature that allows you to filter by “Recommended for Families” to help if you’re looking for a family-friendly property. You can also filter by castle, boat or even farmhouse, as well as see if it’s near the ocean or perhaps good for skiing. In Europe at least, all owners requested damage deposits. I was fine with this when paying with a credit card and using the HomeAway system (to protect us against fraud), but we had at least one propose we pay them with cash on arrival. I was not OK with that, though apparently this is common practice in Europe, so we bypassed that rental for another. All of our damage deposits were returned, no problem. When we arrived at our rental in Bologna, Italy, our host asked to photocopy our passports. That immediately put me on alert. Couldn’t they take these and steal our identities? Where are the most popular places to book a vacation rental? 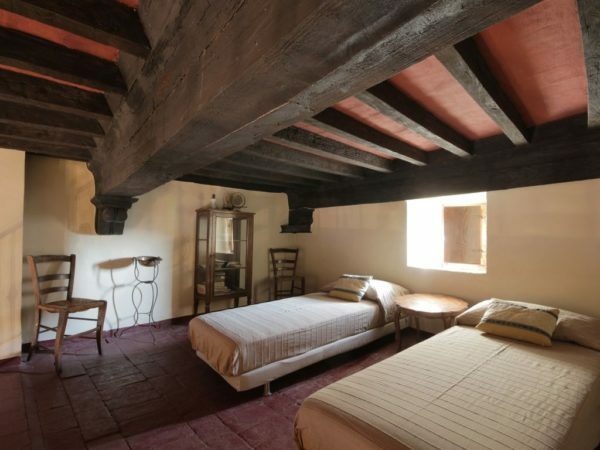 While I certainly love to stay in hotels, especially boutique properties with unique design and amenities, I enjoy equally stay in unique vacation rentals. 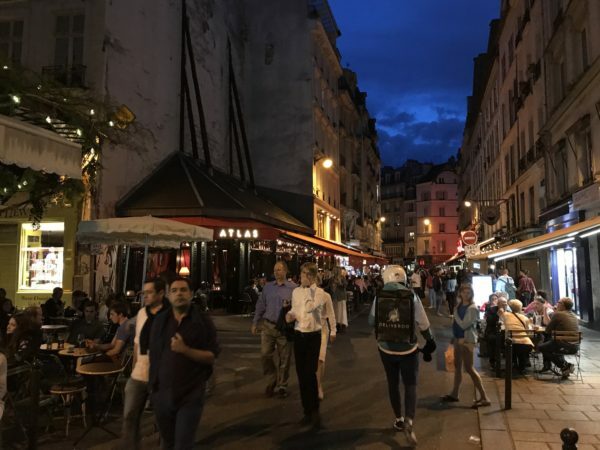 In Europe, we felt less like a tourist and more like we were just part of the neighborhood, especially in Paris, where we could walk right downstairs to the local market or cafe. It gives you the feel of what it would be like to live there complete with the amenities of home. Food while traveling can be super expensive, especially if you eat out for every meal. When traveling in the U.S. on Southwest, which lets us check two free bags per person, we often bring a suitcase filled will breakfast items and snacks to save on the cost of eating out. Most vacation rentals come with kitchens, allowing you to prepare full meals, which can save a ton of money. Plus, you can, again, feel like a local by shopping at the local market or grocery to get items to prepare your meals. I probably should have made this No. 1, because boy is this helpful, especially with kids. 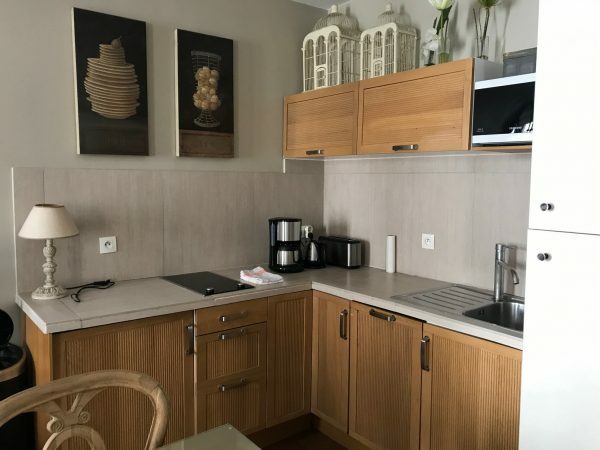 In Europe, finding vacation rentals with washer/dryers is challenging, but we managed to for two of the three and that helped reduce the amount of clothes we needed to pack. Plus, my youngest is like a real-life version of Pig-Pen who seems to always instantly be covered in food and dirt ;-). There’s no re-wearing any of his clothes, ever! We find that vacation rentals often cost the same or less as staying in a hotel room and afford you so much more space. 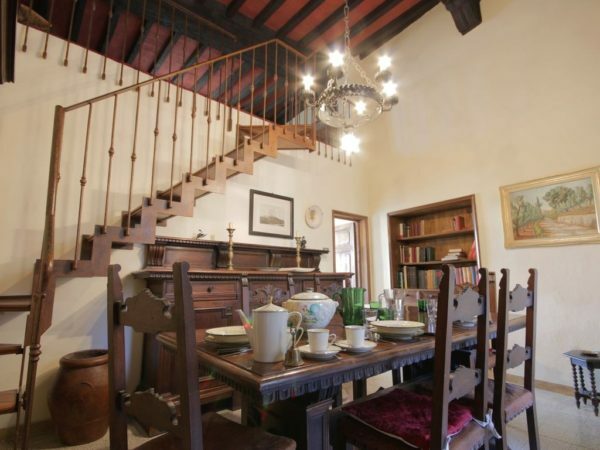 For example, the Paris apartment we booked on HomeAway is just $185 per night! You do lose the benefit of amenities like pools, on-site restaurants and the front desk for asking questions, but you gain a kitchen, washer/dryer and room to breathe! Yes, please! Do you like to book vacation rentals? Have you used HomeAway? What your top tips? Vacation Rental or Hotel? Which Is Right for Your European Vacation?